Following my eventful trip to London in July 2017, I am thrilled to announce the release of my music on 2 very different collections. Firstly, don’ wurry be ‘uppy: “African Chillout” is relaxing, fresh, contemporary African grooves on world production library Brilliant! Take a listen … laduuuma! And then secondly, be ye depressed, be exquisitely depressed! 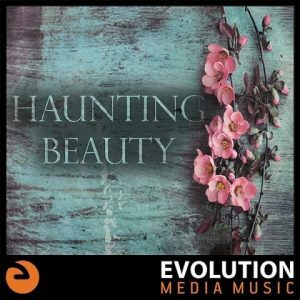 Drenched in ennui and soaked in longing, “Haunting Beauty” on Evolution Media Music creates an intimateand evocative sound pallette. My 2 contributions to this collection are “Washed Up” and “Too Late”. This entry was posted in african music, documentary, drama music, Production Music, sports music, television music.